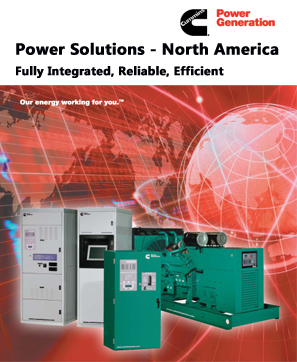 To select the right generator set for the job, determine what equipment you will run individually and simultaneously. Check the wattage requirements on each item (volts x amps = watts). Total the wattages of all equipment to be run simultaneously. Bear in mind that electric motor starting may require up to three times the running power. Once you determine your wattage needs, go back to the Generator Selector tool and tell us a few additional facts about your power needs and Maybin’s Emergency Power Systems will recommend the Cummins Onan Commercial generators that are best suited for the job. The wattages listed below are based on estimated wattage requirements. For exact wattages, check the data plate or operator’s manual of the item you wish to power. Some tools and appliances need a “surge” of energy when starting. This means that the amount of electrical power needed to start the tool or appliance may exceed the amount needed to maintain its use. Electrical appliances and tools normally come with a label indicating voltage, cycles/Hz, amperage (amps) and electrical power needed to run the appliance or tool. Check with your nearest dealer or service center with questions regarding power surge of certain appliances or power tools. For assistance in estimating your power needs and determining the right generator for the application contact a Cummins Onan Dealer. Our sales and service locator will direct you to your nearest qualified Cummins Onan dealer or distributorship.